The DAkkS ist the national accreditiation council in germany. It is following the (EG) Nr. 765/2008 and the accreditation law (AkkStelleG) of germany. 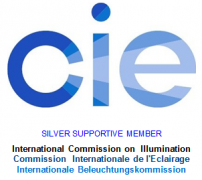 The CIE is one of the most important internatioal commissions on illumination. A couple of industiral and scientific important standards has been published by the CIE. The Deutsche Kalibrierdienst (DKD) is since 3.5.2011 a committee of the PTB, who is continueing the work of technical committees. It ensures the cooperation of the PTB and the accreditated calibration laboratories. DaKKs, NVLAP and A2LA are ILAC MRA are signatories to the ILAC mutual recognition arrangement. This means that their ISO 17025 accreditations are mutually recognized. Also a mutual recognition agreement exists between PTB and NIST. Calibrations of luminous intensity and luminous flux are mutually recognized by PTB and NIST institutes. Calibrations traceable to either one of these institutes are therefore traceable to the other. The uncertainty of spectral irradiance between PTB and NIST is confirmed to less than maximum 1% by international comparison. The measurement quantity radiance is traced back geometrically to radiant intensity and spectral irradiance. Our ISO/IEC/EN 17025 accredited calibration laboratory for optical radiation measurement quantities (DAkks Accreditation Number D -K-15047-01 - pdf download) ensures the highest possible industry level light measurement instrument calibrations.